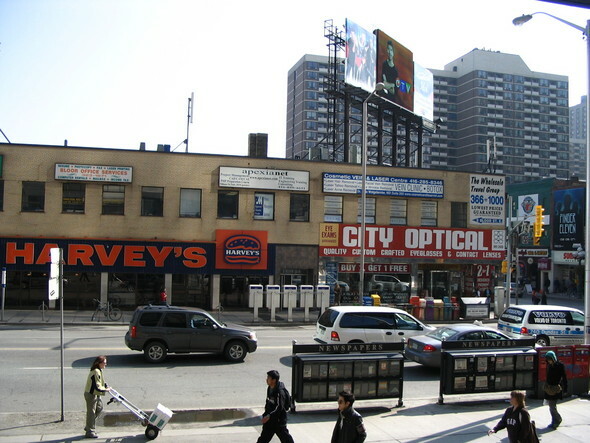 Home » Insights » Yonge and Bloor: What Will You Miss the Most? It’s hard to believe but it has been 5 months since Bazis International first formally introduced their plans for an eighty-storey condo/hotel Mega Tower on the South East corner of Yonge and Bloor. And whether you love it or hate it (and judging by the comments in my previous posts on this building, there are plenty of people on both sides), the reality is Yonge and Bloor is about to undergo a major transformation and will never be the same again.